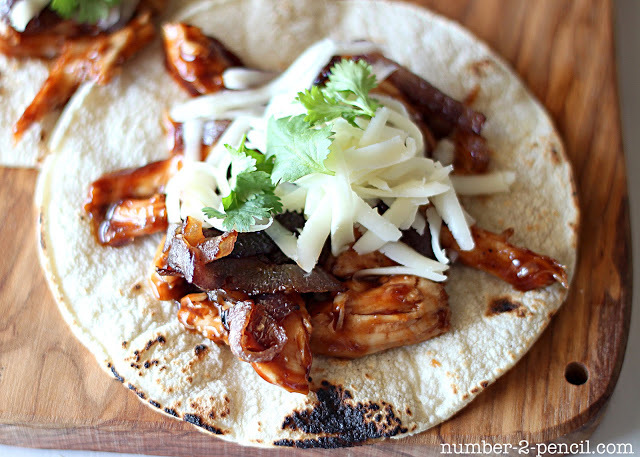 I really must insist you put these BBQ Chicken Tacos, with Caramelized Red Onion, on your dinner menu for next week. They are so delicious, and super quick and easy. In fact, you can use any cooked chicken you have, even one you grabbed at the super market. These tacos are inspired by California Pizza Kitchen’s Original BBQ Pizza, a tried and true favorite! If you start with leftover chicken breast, or a store bought rotisserie chicken. You can have these on the table in about 20 minutes. Start by sautéing onions in a drizzle of olive oil, on a medium high heat for about two minutes. Sprinkle with salt and pepper. Then turn heat to medium low and stir occasionally until onions are soft and sweet. Let onions cook while you prepare the rest of the tacos. Combine cooked, shredded chicken with BBQ sauce and honey. The honey is optional, I like to add it to bottled BBQ sauce to improve the flavor and consistency a bit. Add more or less BBQ sauce depending on your preference. 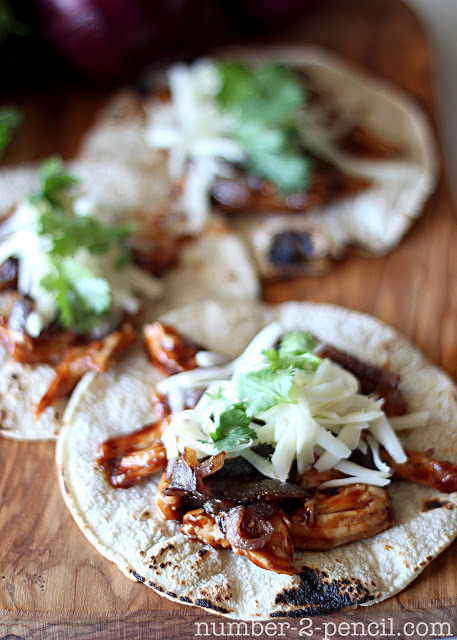 Once onions are done, pile chicken, onions, shredded jack cheese and cilantro onto warm corn tortillas. These BBQ Chicken Tacos are easy to throw together, and the caramelized red onions really make them special. 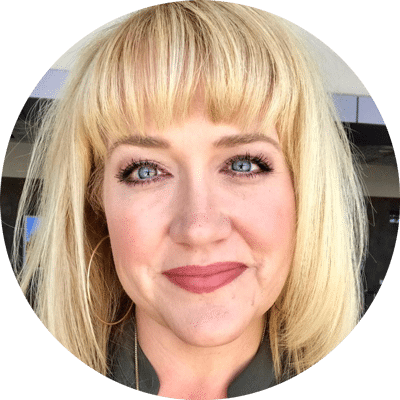 I’d love for you to keep up on my new posts and recipes by clicking on these cute buttons below, and follow me on Facebook and Twitter. You can also find me on Pinterest, that’s my favorite place to hang out and I’d love to see you there! 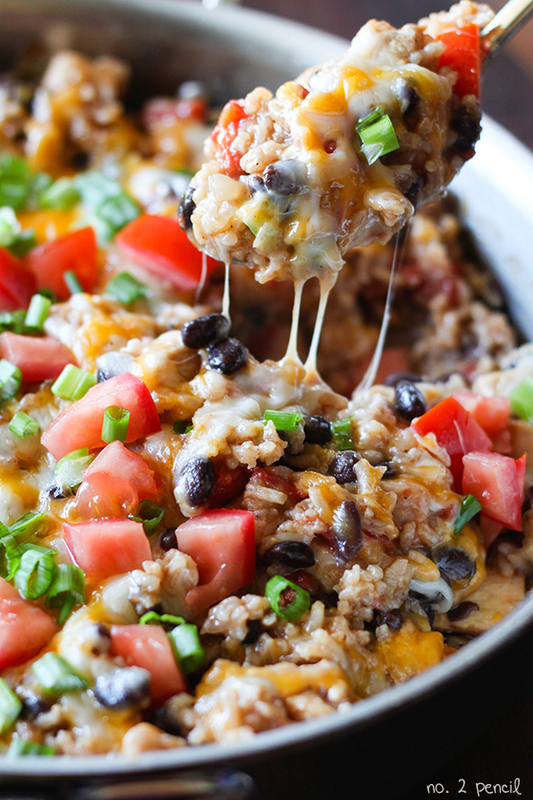 That looks sooo good & I love that it’s an easy recipe too! I’m glad we’re following each other on Instagram- I’m your newest follower here & I’m off to add you on Pinterest, right after I pin this recipe! BBQ chicken–is there anything better? I love it on pizza, sandwiches, plain and now, in tacos. These are amazing and I’m definitely going to be making them. My husband just made THE BEST homemade BBQ sauce (http://allrecipes.com/recipe/big-als-kc-bar-b-q-sauce/detail.aspx) and we are up to our eyebrows in it. Can’t wait to try this recipe! Stopping by from Mindy Mae’s FB share. I’m already in love with your blog. Can’t wait to see more! Made these over the weekend for visiting company. It was a great recipe for a busy weekend! Tasty, simple & quick! Thanks so much for sharing!! !